Safer and greener, but more complex. Global legislation is moving in a clear direction. To avoid delays, bans from ports, or even the loss of charters and liability claims, it is vital for ship owners to comply with all regulations. The three main legal sources for ship recycling are the Hong Kong Convention of 2009, the EU regulations of 2013 and the Basel Convention of 1989. 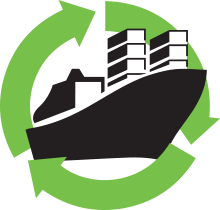 The future of ship recycling is contained in the 2009 Hong Kong Convention for the Safe and Environmentally Sound Recycling of Ships. Among other things, it will require all ships to have an Inventory of Hazardous Materials (IHM) at all times, set new operation standards for recycling yards, and introduce an enforcement mechanism that includes certification and reporting requirements. The convention will enter into force twenty-four months after being ratified by fifteen IMO member states, representing at least 40% of the world cargo shipping capacity. In 2013, the EU implemented the requirements of the Hong Kong Convention, taking an important step towards global implementation. The regulation applies to large commercial seagoing vessels flying the flag of an EU member state, but also to any other vessels calling at EU ports or anchorages. One of the most important upcoming requirements is that all visiting ships must have an Inventory of Hazardous Materials. Until the Hong Kong Convention is ratified, the Basel Convention on the Control of Transboundary Movements of Hazardous Wastes and Their Disposal applies to all end-of-life ships. The convention mainly regulates the movements of end-of-life ships to another country for recycling. The International Labour Organisation is a UN agency devoted to promoting human rights and labour rights. As part of its efforts to advance the creation of decent work, the ILO has issued many guidelines for safety in the workplace, which we have incorporated into our working procedures and practices.